Create the WOW factor with our Louvered diffusers. 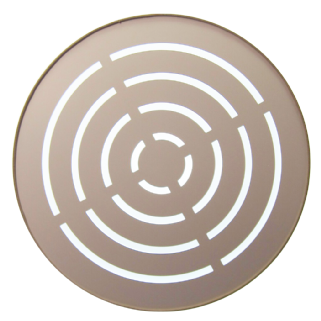 Premium foamex cut to our louvered design with a transparent PVC cover that fits on top. The diffuser is used to diffuse the light from a lampshade. 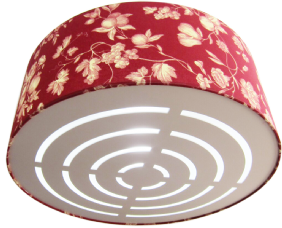 This is especially useful if your lampshade is to be hung from a high ceiling drawing the eye to the lampshade design rather than the inside of the lampshade. This works well with all design & make your own lampshade kits. Easy to install, sits on the bottom ring of the Lampshade. THE DIFFUSER MAY HAVE A PLASTIC FILM ATTACHED TO PROTECT FROM MARKS AND SCRATCHES.